What happens after you submit your proposal? If you haven't already submitted an initial inquiry, please go to the website of the relevant imprint and click on Author Inquiry, fill in the inquiry form, and click on Submit Inquiry at the bottom. 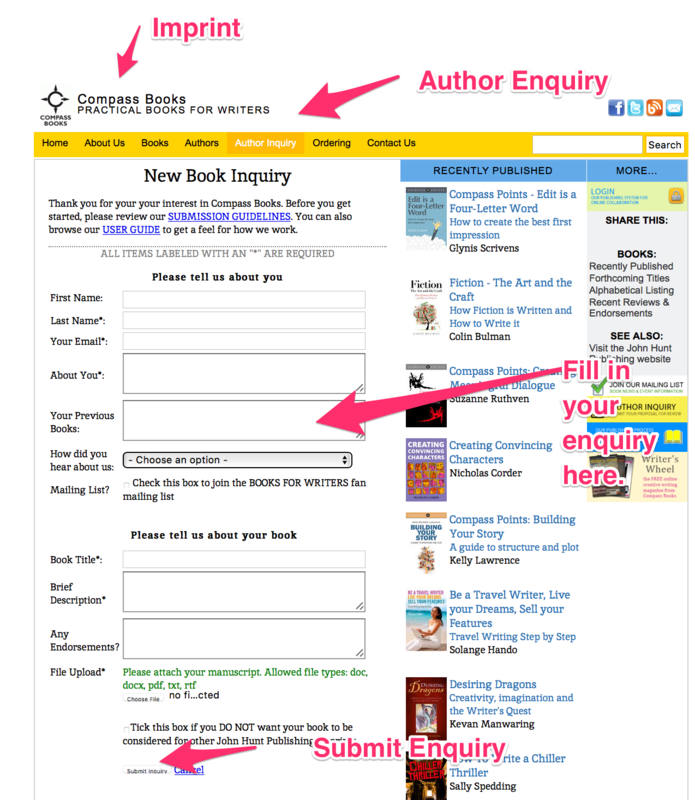 Please also do this if you're a current author submitting an inquiry for a further title. You should get a response in a matter of hours or days, either a "decline" or an invitation to provide us with a little more detail. We recommend that before you complete your proposal that you first check out The Way We Work , in Chapter 1 of the Publishing Guide, and our Contract Terms in Chapter 6. This will ensure a good fit between you and our company. Once you're happy, please fill out all the required items on your Book Details page (see instructions, below). When your proposal is complete, upload the draft manuscript (or however much you have completed) to "Files" in the Proposal Details section (if you have already done this in the original web inquiry it is not necessary to do it again, the file will carry through to the proposal). When this is done, click on the Click here to submit proposal button at the top of the form. We cannot offer a contract on the basis of a synopsis only – we need a minimum of a complete chapter to assess style and level. The publisher receives your proposal and a team of readers are notified for their comments on the proposal and the manuscript. Based on their consensus, our Editorial Manager makes a decision to offer a contract or not. We usually get back to authors within a week or two. See Contract Levels for more information. There is nothing legally binding on either side until contracts are accepted. However, if you have made it through to the proposal stage, it means we are taking your book seriously. We offer contracts to about 50% of the submitted proposals. So please invest your time and energy into completing the form. The Book Details page is designed to tell us about your book, while your Profile page will give us a better idea of your "author platform". This information helps us understand what kind of book it is, whether or not it might sell well in the current market, and helps us evaluate its appeal to potential readers. Strapline; Description; Audience; Market Position; Marketing Plan; Competing Books; Unique Selling Points; Estimated Sales; Author Sales; Estimated Word Count; Other Publishers; Endorsements if applicable; Categories if possible. For guidance on how to complete each item on the Book Details page, put your cursor over the title, and the word "help" will appear. Click on it for more information. When you have completed the sections relevant to you, please remember to click on the Click here to submit proposal button at the top of the form; we will then be notified and send the book out for review. Your geographic location: Enter the address in your Profile. Where you live impacts the audience you can reach. If you live in New York, you have better marketing reach than if you live in a cave in the Himalayas. If you are well known in other areas, say your birthplace, let us know about it. How well known you are to your target audience: In Author Full Bio, in Profile, mention any awards or honors, or whether you hold a high-profile job or position that connects uyou to potential readers. Your personal and professional networks: Add any institutions, organizations, clubs, informal networks you belong to, and how many people you can reach in each. Media profile: Have you done TV/radio/print media interviews? Do you have relationships with specific journalists or outlets who would definitely interview you about your book? Are you a blogger or do you manage a website, podcast or internet radio show? Tell us how many people you think you can reach in these ways. Social media networks: Please be precise about the number of twitter/FB/Linked-In/Instagram etc. connections that you have – or contacts of yours who have large networks who would help you publicize your book. Your previous books and how many copies you have sold: This is important for marketing and publicity. It indicates whether bookstore buyers know you and want to order your book. When completing the proposal, please avoid using ampersands, quotation marks, hyphens and other special punctuation. Avoid non-English characters, such as Greek lettering or French punctuation. You can, however, use italics. Why is this important? Some of the text you provide in the proposal, like the title, your short bio in the Profile, will feed through to our website; other passages along with these will feed through a number of other databases used by bookshops, amazon, etc. These databases use a restriced set of characters and will turn anything else into gibberish. Please do not copy and paste information into these fields. It needs typing in from scratch. Copying/pasting results in font changes, odd colors etc. which may not be apparent to the editor, and end up feeding through later to the finished information in the website. While we accept the proposal manuscript in varous formats, you can only submit the final manuscript for publication in MS Word format. So it will save you time in the end if you submit the proposal manuscript to us in Word. You provide a draft, not a polished manuscript. You provide sample chapters, not a complete text. Your work contains spelling and grammatical errors. Your work contains unprofessional styles of punctuation or formatting, such as words in ALL CAPS, or too many exclamation marks!!! Your work contains color photos and graphics (we can only print black and white). Your work contains too many text boxes, charts and complex graphics (these are expensive to format for publishing and increase the cost of producing your book). Keep the information to copy that you would be happy to see circulated – no private notes, comments etc. If the proposal is for an anthology, there is more info on this in Appendix 5. If you are keen on one imprint and only want your manuscript to be published in that imprint, there is a box you can tick to that effect on the submission page, on the website. If you have not ticked that box, we may move your proposal to another imprint if in the publisher's opinion it would fit better there. Please remember to click on the Click here to submit proposal button at the top of the form when you have completed your proposal. Recommending other publishers: If this business does not sound as if it is for you, or if we turn the proposal down, we can’t help on this. You have a wide choice; there are several hundred significant publishers in the English-language world, 70,000 registered with the main databases, and the number who might publish the occasional book runs to a quarter of a million. The simplest way is to trawl the internet for other possibilities. The Insider’s Guide to Getting Your Book Published by Rachel Stock. There are dozens of other books on the subject, easily found on the internet. Literary Marketplace in North America, www.literarymarketplace.com, and The Writers and Artists Yearbook in the UK, buy online at www.acblack.com. And try the information sheet Getting Published from the Book Trust, www.booktrust.org.uk. There are dozens of other directories, books and online sources. 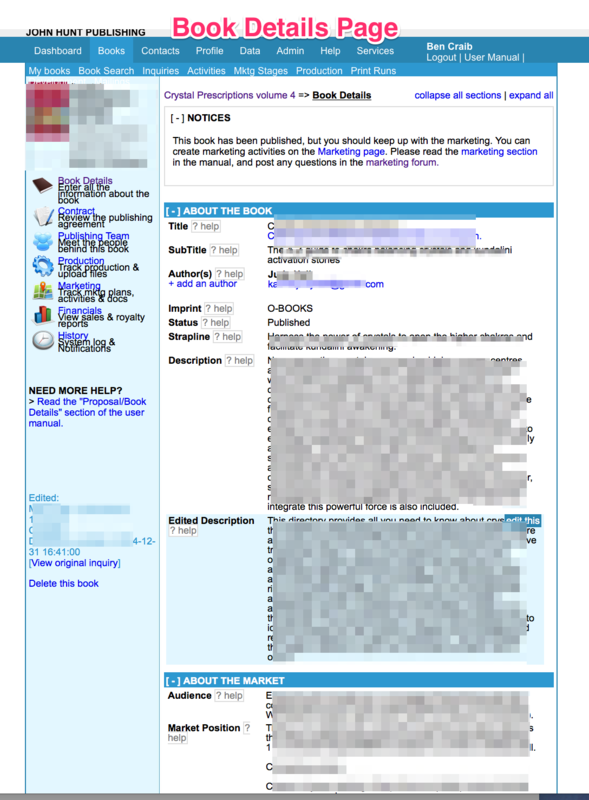 www.bookmarket.com provides a useful summary of “how to get published”-type websites. There’s a useful list of agents on www.writers-free-reference.com/agents/index.html. For where we fit into the industry, there's an infographic prepared in 2104 by The Independent Publishing Magazine, if you click here, or go to https://docs.google.com/file/d/0Bz67hEcBIl10YzNsTVRLWkdJams/edit?pli=1. For an explanation of publishing language when dealing with authors, try Little white lies; http://www.theguardian.com/books/2012/apr/27/what-publishers-really-mean-euphemisms. For a humorous look at how not to approach the business of writing and getting published, try http://www.youtube.com/watch?v=c9fc-crEFDw&feature=player_embedded. "At any one time there could be a million manuscripts floating around London agencies. Only one or two thousand new fiction titles are published every year" (by the major publishers); Editor-in-chief of The Bookseller.